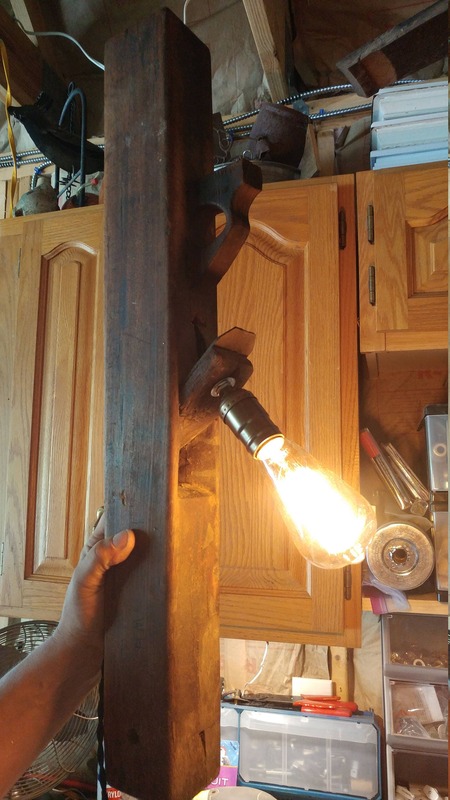 A beautiful vintage wood hand planer turned into a wall light. 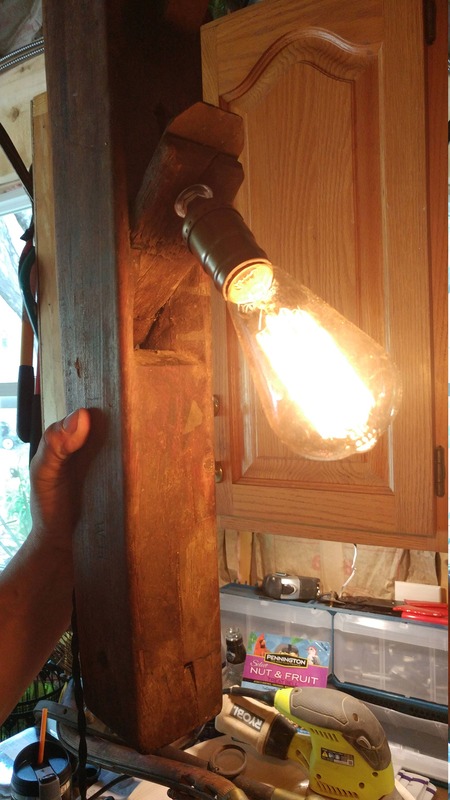 The lamp is 22 inches in height. 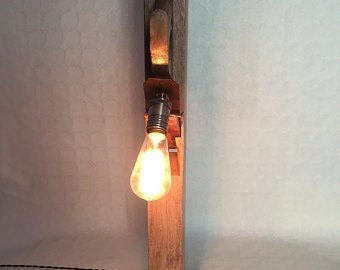 Takes a standard bulb which is not included. You can use an Led bulb if you would like.